Sharp Imaging and Information Company of America (SIICA), a division of Sharp Electronics Corporation (SEC), is excited to announce its first-generation 8K Ultra HD 70" Class (69.5" diagonal) LCD monitor, the 8M-B70AU. This exciting innovation brings realistic depth to the screen with more than 33 million pixels, conforming to the 8K Ultra HD standard (7,680 x 4,320 pixels) and offering HDR (HLG/PQ) functionality. The pixel resolution is 16 times greater than Full HD, and while users who stand close to a Full HD monitor can distinguish individual pixels, the pixels on an 8K Ultra HD screen are not visible to the naked eye. This provides for images so realistic, and with such a sense of depth, that it feels as if objects aren't just on the screen, but are actually the real thing. 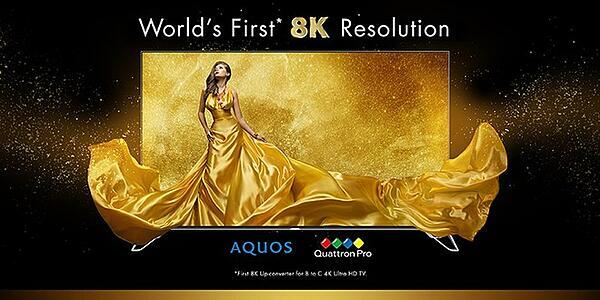 The 8K Monitor has already won several awards, including: three Best of Show Awards from NewBay's Digital Video, TV Technology and Sound & Video Contractor at the National Association of Broadcasters (NAB) show; the RedShark News Best in Show award at NAB; a Best of Show award at InfoComm 2018 from AV Technology and the overall Best Flat Panel Display award from rAVe Publications. For more information, visit Sharp's website at siica.sharpusa.com or contact your local rep today!